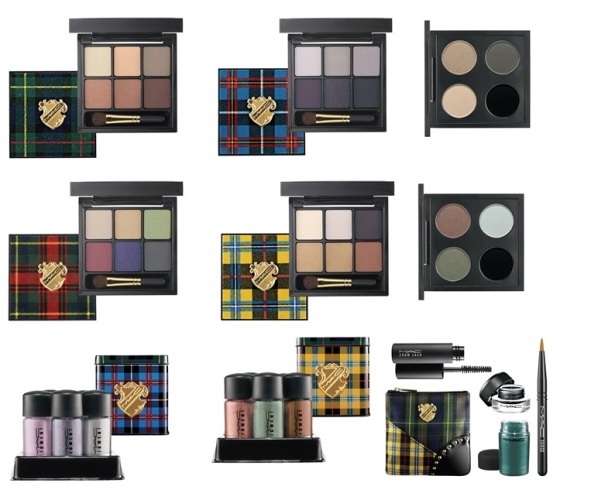 Makeup, Beauty and More: MAC A Tartan Tale Holiday 2010 Collection. 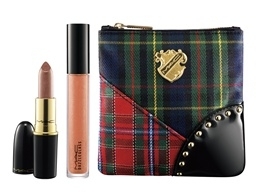 MAC A Tartan Tale Holiday 2010 Collection. 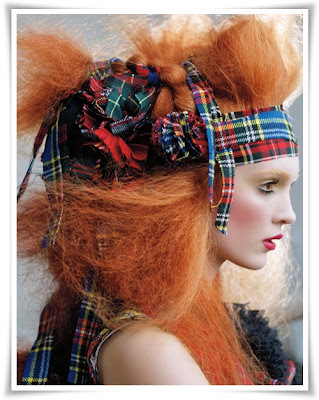 A Tartan Tale is going to be MAC's collection for holiday 2010. The collection features gift sets for eyes,face and lips. Brush sets are also included as part of the holiday collection. Eye Kits include eye shadow palettes, pigments, smooth liner cream and a travel sized brush all packaged in cute little boxes. 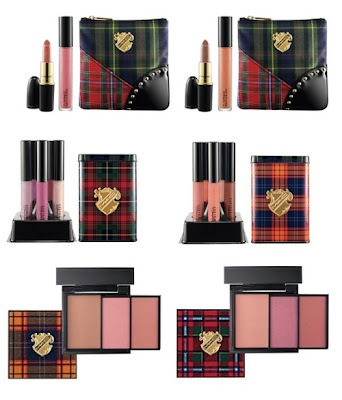 The lip kit includes five mini limited edition lipglasses,dazzleglass and lipsticks with cosmetic pouches and blush and beauty powder trio in two different color combinations. 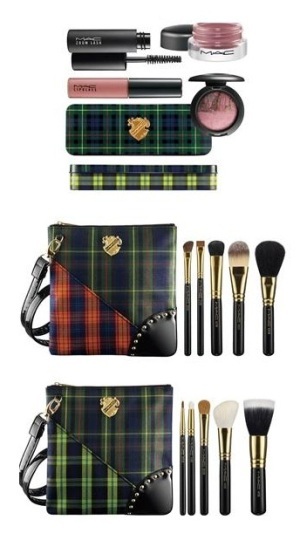 Limited Edition brush sets which consists of mini versions of MAC's popular brushes and a tartan tale bag. Apart from this, the collection also features new shades of lipsticks, eye shadows and pearl glide liners. 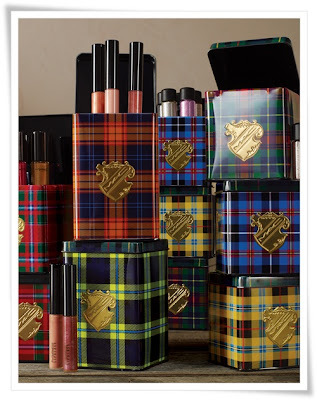 Me thinks, the packaging is uber cute. Will update as and when I get more info on the shades. What do you think of MAC's Holiday 2010 collection? What would you buy from this collection? hey this is a great collection!! Thanks for sharing.